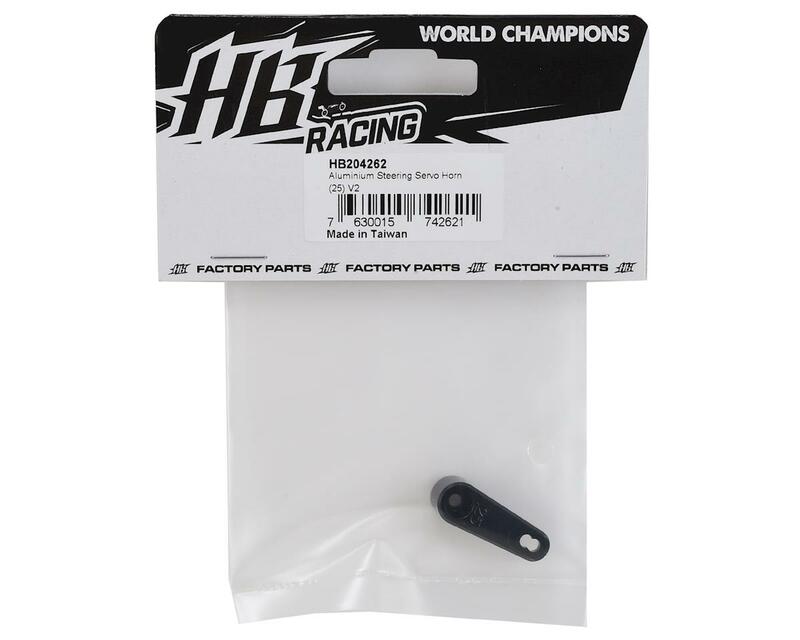 This is the HB Racing V2 Aluminum Steering Servo Horn with a 25 Tooth Spline, compatible with ProTek R/C, Futaba, and Savox servos; as well as any other servo that uses a 25 tooth spline. 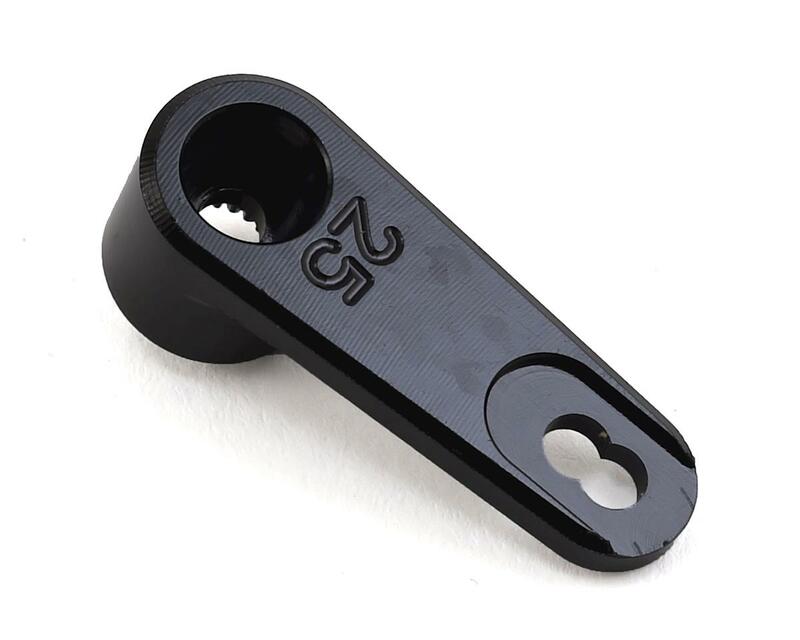 This V2 aluminum servo horn is now in black color and features two mounting positions that measure 18mm and 20mm away from center. This aluminum alloy horn is built tough to help eliminates any flex that might occur during normal racing conditions.